Hengrove and Whitchurch Park Neighbourhood Planning Forum were consulting with local residents on the neighbourhood plan. The park, a former airfield, had been earmarked by the city council for a large mixed development and the park itself to be regenerated as a new green space. The forum had distributed questionnaires and held open days, but were open to experimenting with creative methods to engage a wider and broader audience in the consultation. The heritage of the airfield was very important to local people, they, or their parents had worked there and it was well remembered as a working space. 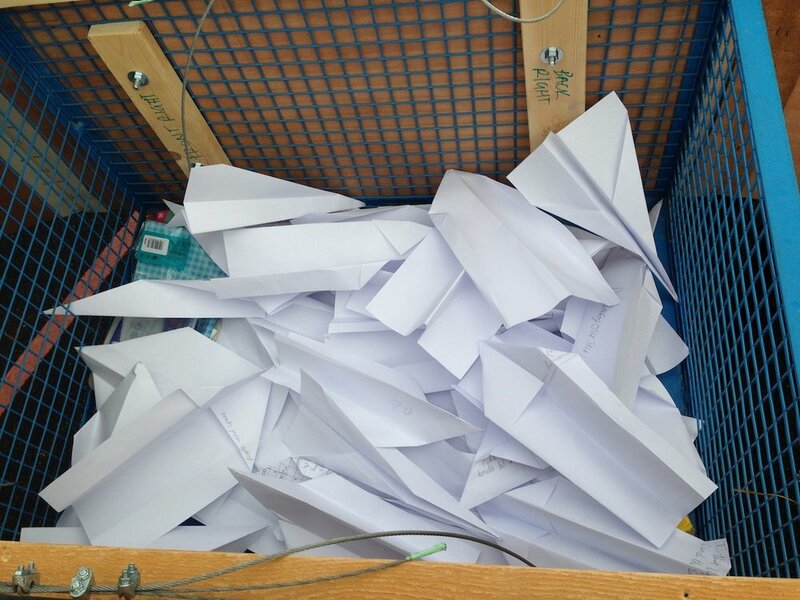 Aeroplanes and flight in general struck a playful and joyous chord with the community so we created an ‘engagement plane’ - a large model plane, on wheels that could be written on with chalk. We met with the community forum and discussed planes that actually flew from the airport, we considered how people might engage with the plane and in turn the consultation in an active way. We adapted classic planning consultation tools such as architectural models to be more tactile and playful, drawing on ideas from model trains, dolls houses and air fix. 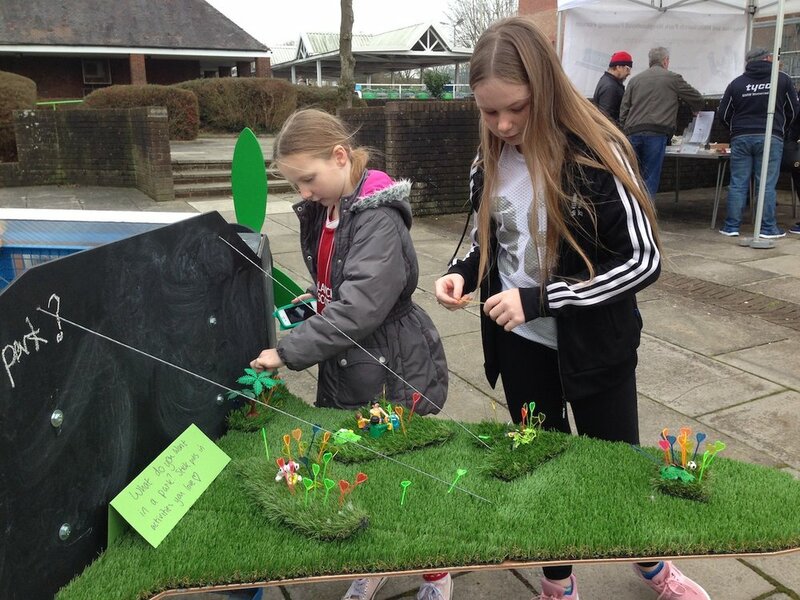 Following on from this we utilised astroturf on the wings and used playmobil to suggest activities that might be done in the park, now and in the future. We identified locations to work from - ASDA, the car boot sale, the leisure centre and local schools. The plane was a fantastic way to draw people in, it worked as a hook and once engaged we could chat about the developments being offered by the council and the alternative local plans. It allowed the group to be visually very different from the council, on a much smaller budget and allowed them to be identifiable to local residents. We ran workshops in schools talking to over 200 students bringing the total engaged to 381. The project is included in the book "Neighbourhood Planning in Practice" by Kat Salter as an example of an innovative way to engage with the community.